The bonus culture that’s surrounded the banking industry has been the target of campaigners looking to punish the people they perceive to be responsible for the economic turmoil of the last few years. There has been a groundswell of support for some form of restriction on what banking executives get paid on top of their annual salaries, with members of the public aghast at how people can be paid bonuses in addition to their basic salaries. They also see the bonuses as an unjust reflection of performance, with the top executives still paid eye-watering sums despite lacklustre results that tend to be felt most by the consumer. The obvious counter-argument, however, is that by restricting what bankers get paid you will create an exodus of the top talent to markets without such rules. Opponents of the rules, which are set to be implemented in Europe, say that the leading minds in the financial industry will depart to Asia, the US and the Middle East, seriously harming the EU’s international competitiveness. The rules that the EU is preparing to implement come as part of the European Parliament’s Capital Requirements Directive (CRD) IV legislative package that was voted through in April. Designed to curb excessive pay to executives at banks, the new rules will mean that bonuses for all staff must be capped at the base amount of salary, although in certain instances, when shareholders permit it, this ratio can rise to 2:1. Despite plenty of support from politicians across Europe, German resistance held up the policy. However, their stance softened earlier this year, paving the way for the cap to be included within the CRD IV package, which will help implement the Basel III provisions for liquidity and capital requirements. The reasons for implementing a cap on bonuses seem to stem from public outrage at how much money is given to the people they blame for economic hardships, which everyone is experiencing. Desperate to harness public opinion, politicians have seized the idea as a means of both appearing tough on the banking industry, while dressing it up as a key part of their capital requirement rules. Those in favour of the rules make up the majority of the EU; whereas the countries that have opposed them include the Czech Republic, Sweden, and the UK. Britain has the most to lose, with its economy so reliant on the financial services industry it’s desperate not to see an exodus of talent and money from London. 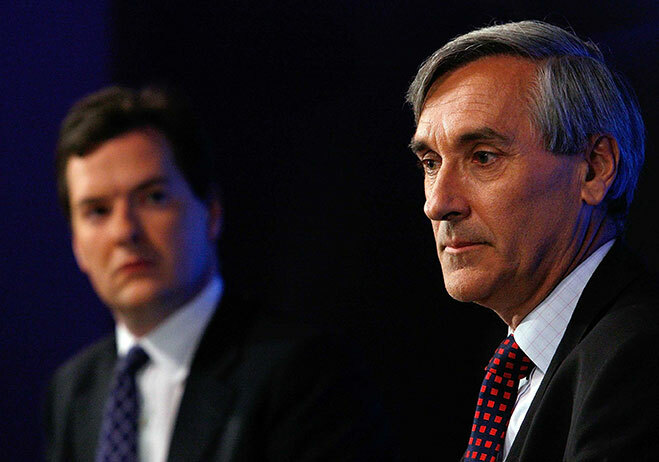 British MP John Redwood recently said that the cap would “make financial institutions less stable rather than more stable”. A consequence of the new cap could be a significant rise in what bankers are paid. Martin Wheatley, the new CEO of UK regulator the Financial Conduct Authority, told a conference in May that salaries could double as a way of getting round the new rules. This assumption was backed in a study by human resources consultants Towers Watson & Co, who found that more than half of global banks would raise salaries in the event of a bonus cap. Some have also questioned the legality of the cap. Writing for London-based financial newspaper City AM, Stephen Mavroghenis, a partner at international law firm Shearman & Sterling, said that the proposed cap’s legal basis was “tenuous at best”. There was also concern that the new rules would define more people within the industry as ‘risk takers’, when they may in fact just be paid a large salary for a relatively risk-free job. Jon Terry, another partner at PwC, told reporters: “This expansion of the definition of risk takers will see substantially more individuals working in the banking industry being hit by tougher pay rules, including being subject to bonus caps from next year. Despite the supposed consensus among many EU policymakers, as recently as June there were suggestions that the bonus cap could be scrapped. Sven Giegold, the German MEP that has led the way in negotiating the bonus cap, is rumoured to be looking at proposals that would place greater emphasis on tying bonuses to performance. Such a compromise should be seized before serious harm is done to Europe’s banking industry’s international competiveness. While it may not be a popular view among those facing economic hardships and wanting a convenient scapegoat, in order for European economies to get back on their feet they are going to need a competitive – and competitively paid – financial services industry.